Chattanooga, Tenn., offers a trifecta of primary interstates—I-24, I-59, and I-75—that enable a one-day truck drive to more than 40 percent of the U.S. population, and a two-day truck drive to 80 percent of the nation’s residents. Due to its connectivity to a majority of the United States, a number of organizations have begun to expand their distribution centers throughout the area. As one example, FedEx Ground is currently completing a $30-million, 235,000-square-foot distribution center, which will open in August 2017. Whirlpool has developed a 400,000-square-foot distribution center in nearby Cleveland, Tenn., while Coca-Cola opened its new 305,000-square-foot distribution center in early 2016. In addition, the city’s location along the Tennessee River enables its accessibility to more than 16,000 miles of navigable waterways that connect to the Gulf of Mexico and the Great Lakes, according to the Chattanooga Area Chamber of Commerce. And a variety of carriers provide air service at the Chattanooga Metropolitan Airport, offering cargo and passenger service to all major cities in the United States. 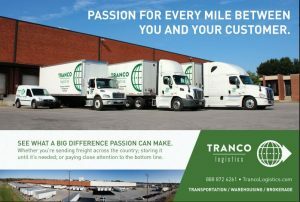 “As manufacturers are attracted to the region, and the city continues to be recognized as a ‘gateway’ to the South, Chattanooga will emerge as a logistics hot spot,” says Joe Taylor, vice president, business development, Tranco Logistics.